With the development and popularization of many kinds of electronic devices, we are surrounded by a variety of electronic products and software every day for the needs of entertainment or work. For this reason, we’re going to run into some problems that some video/audio files you have downloaded or bought may not be supported by your devices. Video converter is necessary at this point. However, every bean has its black and MediaCoder is also not guaranteed to meet all the users’ requirements. For many Apple users, they can’t enjoy the convenience and power of MediaCoder which doesn’t support Mac OS. Therefore, some Apple users are looking for a better software program that can replace it. If you are also eagle for a MediaCoder Alternative for Mac, then you’ll find what you want on this post. Part 1: What is MediaCoder? Before that, I need to make a rough introduction to MediaCoder. As is known to most users, MediaCoder is a proprietary transcoding program developed by Stanley Huang since 2005. It is a powerful media converter including compression, file type conversion, remuxing and extraction of audio from video files. It’s worth mentioning that all of its features are free, which is one of the reasons why it’s so popular after the release. As an professional media converter, MediaCoder can support lots of major media formats including MP3, Vorbis, Opus, Advanced Audio Coding (AAC), Windows Media Audio (WMA), RealAudio, WAV, H.264/MPEG-4 AVC, MPEG-4 Part 2, MPEG-2, Audio Video Interleave (AVI), Video CD and DVD-Video. Despite its powerful capabilities, it’s a pity that MediaCoder can’t be used on Mac OS. In other words, it has no a Mac version. For further functions, there are still many formats that MediaCoder cannot support, and its conversion quality is not particularly impressive. Hence, whether it’s for better conversion quality or to be able to run it on Mac perfectly, choosing a MediaCoder Alternative for Mac is a good idea. In the next part, I will recommend the top 5 MediaCoder Alternatives for Mac to you. From above we can see that MediaCoder’s functionality no longer meets our higher requirements for video conversion. Therefore, we need to choose a better software program for the best conversion efficiency and quality. The good news is that there is some software equipped with more functional capabilities that can replace MediaCoder. And the next thing I’m going to do is to recommend the top 5 MediaCoder Alternatives for Mac to you which can help you convert videos as well. The first and also the best one I want to introduce to you is Leawo Video Converter for Mac, one of the most popular video converters around the world. As an all-in-one video converter, Leawo Video Converter for Mac is worth the top 1 MediaCoder Alternative for Mac because of its powerful functions and excellent conversion quality. It can support more than 180 different videos and audios formats such as MP4, MKV, AVI, MP3, AAC, etc. And it enables users to edit the file before converting. 2D to 3D conversion is one of attractive functions. In addition, the simple interface and super-fast conversion speed are also the reasons why it receives most users. 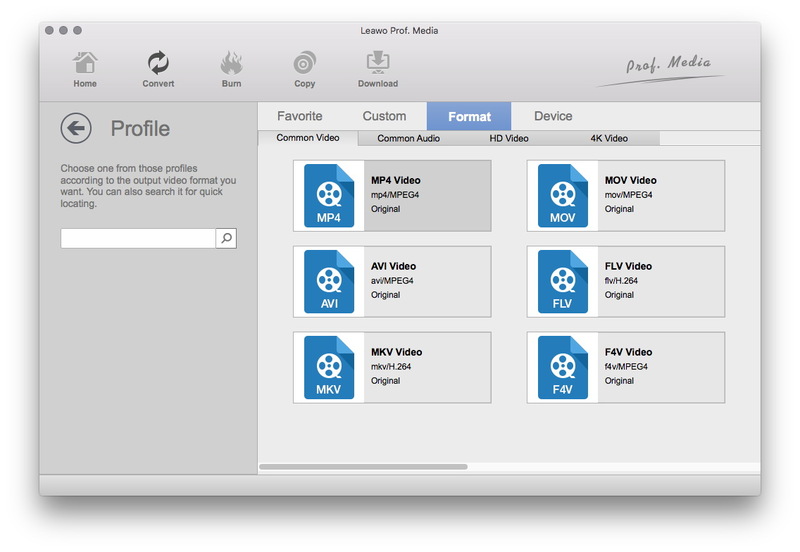 I promise that Leawo Video Converter for Mac will give you the better conversion experience than MediaCoder. 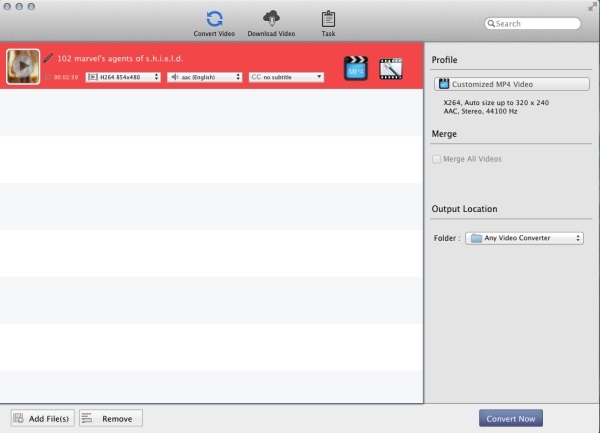 The next one I’m going to recommend to you is HandBrake for Mac, which is also an all-in-one video converter. HandBrake can process most common multimedia files like H.265 (x265 and QuickSync), H.264(x264 and QuickSync), H.265 MPEG-4 and MPEG-2, VP8, VP9 and MKV. What’s more, HandBrake is also a good DVD burner which can import some DVD or BluRay sources that do not contain any kind of copy protection. It’s a good choice for you to use HandBrake for Mac as the MediaCoder Alternative for Mac. Xilisoft is a professional video converter with support for various popular formats and encoders. It’s not as versatile as the two programs mentioned above, but as for a video conversion software, Xilisoft can satisfy most of your conversion needs. It currently supports more than 160 video and audio formats such as MP4, MPEG4, H.265/HEVC, VP8, WEBM, MKV, FLV, MOV, AVI, WMV, DivX, XviD, M4V, etc. With so many supported formats offered, Xilisoft is worth a try as aMediaCoder Alternative for Mac. DivX software is a free video player, video converter and media server for Mac allows you to play, create or stream your favorite videos. You can use DivX software to convert videos to DivX, MKV, HEVC and MP4 to play on DivX devices, iPads, iPhones and more and to finish the conversion you just need a simple drag and click. For its high quality conversion and universal formats supporting ability, I think DivX is also a good MediaCoder Alternative for Mac for you to convert videos. After the introduction of the top 5 MediaCoder Alternatives for Mac, the next thing I’m going to show you is the method about how to use them to convert videos. 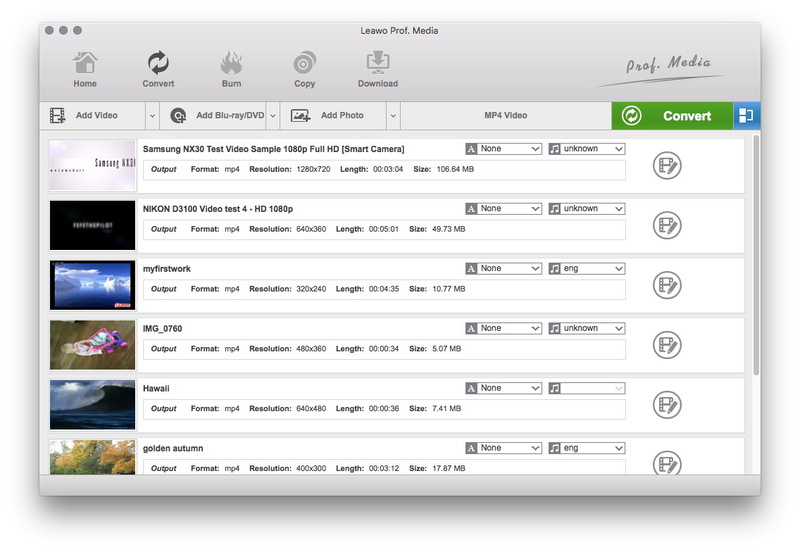 And in this part I will take Leawo Video Converter for Mac, the best MediaCoder Alternative for Mac as the example to show you the detail steps. 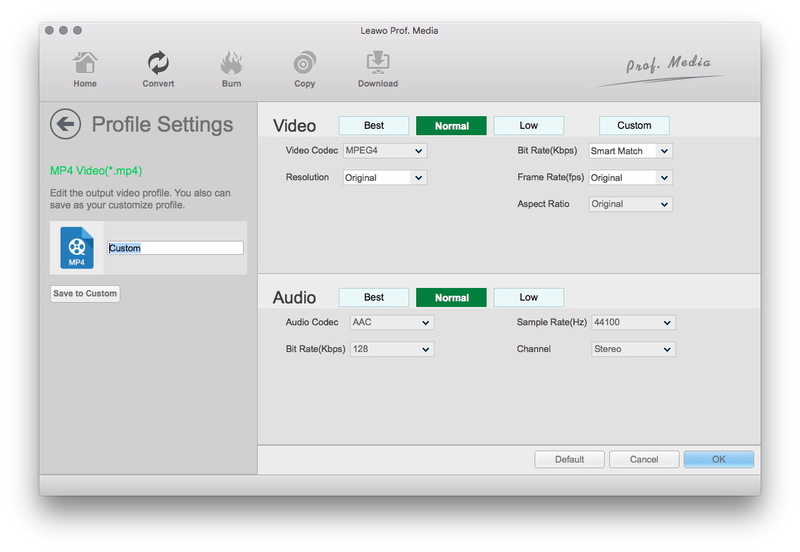 After installing the program you can enter the main interface of Leawo Video Converter for Mac. And then follow my guide to do the conversion. In the “convert” menu you can find the “Add Video” button, click which you can browse and load source video and/audio files into this Mac video converter. You can also directly drag and drop source video/audio files into this program if you want. After importing the media files, clicked the button next to the big green “Convert” button and then a drop-down list will be called out. After that you need to select “Change” option to enter the “Profile” panel, in which you can select the output format from “Format” and “Device” group. You could even make use of the profile search bar to search the desired format quickly. Note: If you like, you could choose to edit video and audio parameters of the output format by clicking the “Edit” option on the drop-down profile setting box. Click the green button you can set the output files on the popup sidebar. It won’t take you too much time to finish the conversion. As you can see, compared with MediaCoder, Leawo Video Converter for Mac has great superiority in both conversion speed and quality. 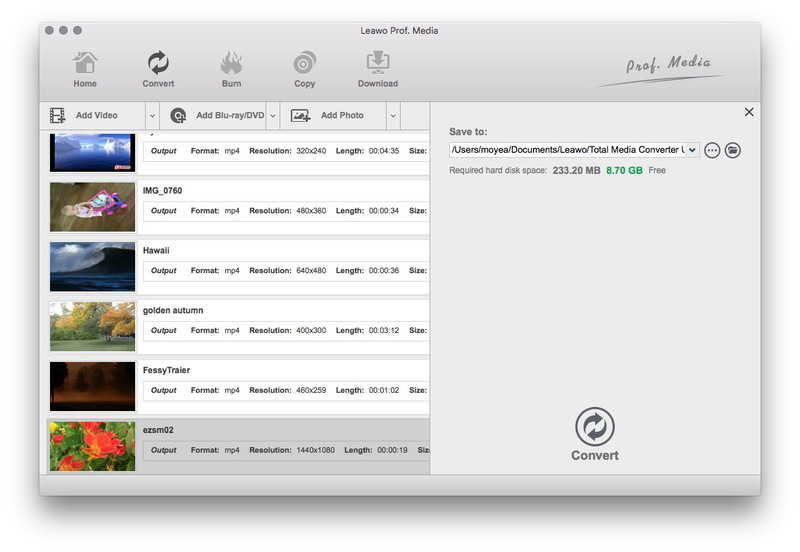 You just need a few steps to finish the conversion job and its friendly operation interface is also one of the reasons I recommend Leawo Video Converter for Mac to you.